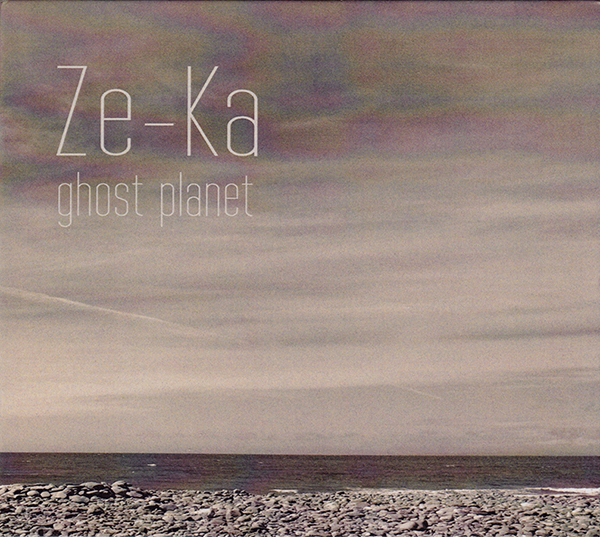 This album is the first solo project of Jean-Philippe Feiss, a French violoncellist and composer using the name Ze-Ka for this production released within the field of electronics and ambient music. The title Ghost Planet is a clear clue: the work is inspired by the constant sense of anxiety and guilt our environment suggests us being subject to exploitation and oppression. An estranging effect of loss gives life to a series of sequences: slow, minimal, dark, sometimes elegiac but also cold. The philosopher Mario Perniola, recently passed away, reminded us that “the detachment, the distance, the suspension of the disordered affections, of the immediate emotionality, of the passions without brakes” are always signs of a great style, which is necessary especially if the direct references are as epic a catastrophe as Chernobyl was. After the contamination following the incident – since 1986 the interdicted area between Belarus and Ukraine has been called the “zone” – has inspired several music works (from all genres, death metal to experimental across classical and pop). “Fission” and “Red Forest” are homages which can’t be definitely defined formal or manneristic, as something we listened to in the past. Quite the opposite, the radiations make the pieces hypervivid, the same radiations which raised the huge pain the population keeps living with until now. Feiss skilfully proves his goals are simple and pure. The drone developments are free from the unessential. The spaces between the notes are clearly organized, no space is left for pity, he keeps the work on an abstract plane of quotes and reminders. The instruments are just synthesizers and cello. We don’t know if the record was played in real time or is due to a following editing process, which is the most likely hypothesis, but for Ze-Ka the most important thing is the final effect, what’s happening in the repetition, a listening state of suspension which would be great if it had a thaumaturgical power too. It’s not the first drone music work by Opa Loka Records, but it’s definitely one of the most interesting, thanks to his weaves: serious but brilliant and refined at the same time.